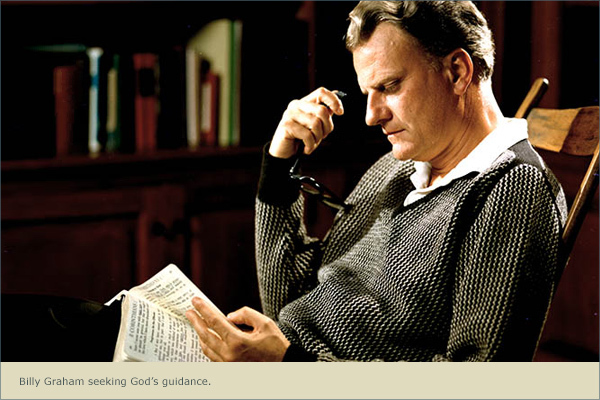 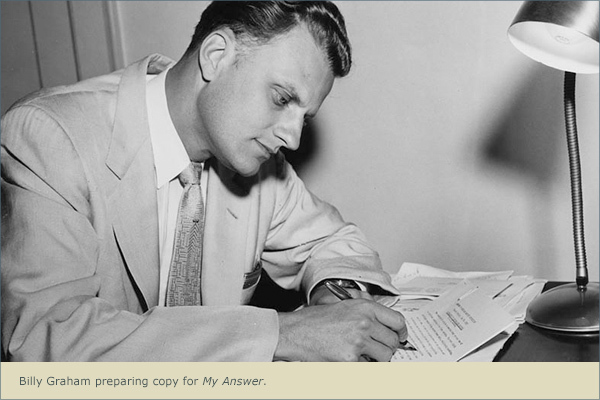 In 1952, encouraged by his friends Fred Dienert and Walter Bennett, Billy Graham began a spiritual advice column for the Chicago Tribune—New York News syndicate. 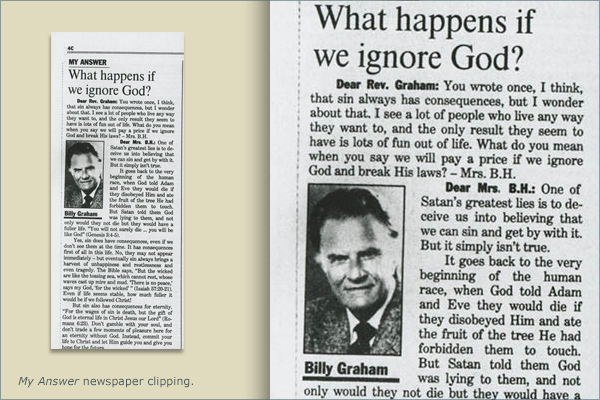 Within one year, My Answer was syndicated in 73 daily newspapers across America. 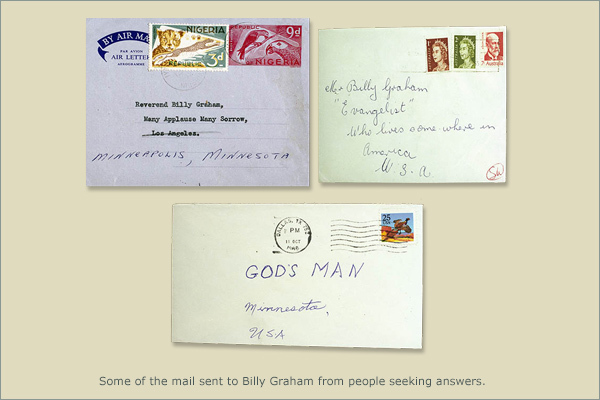 Today, it runs six days a week carried by several hundred newspapers and seen by millions of people around the world. 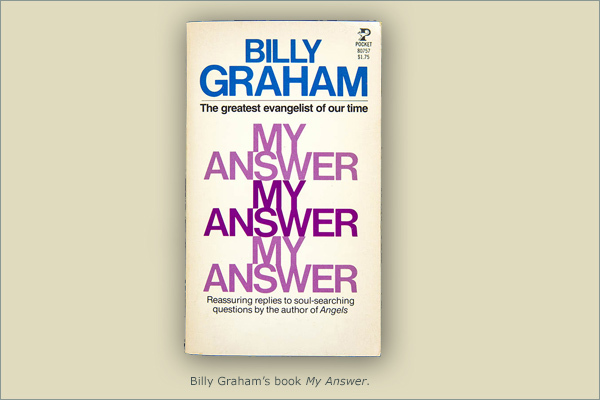 My Answer offers the Bible’s timeless response to questions from readers on everything from religious, social, and ethical situations to marital problems and child rearing.